Mumbai: Corporate customers of Kotak Mahindra Bank Ltd looking at overseas mergers and acquisitions (M&As) are likely to benefit from its exclusive alliance with Evercore Partners, a New York-based investment banking advisory. The alliance will cater to clients in India, the US, the UK and Mexico, the firms said in a joint statement on Monday. “It makes business sense to have an exclusive alliance than setting up own offices in such key markets," said Falguni Nayar, managing director, Kotak Investment Banking. “We had an informal tie-up with Evercore for more than a year and now we have cemented it by making it an exclusive arrangement." There has been a spate of M&As by Indian firms in the US and the UK in recent years. In the year ended 31 March, seven of the 10 largest M&As deals involving Indian companies took place in these two countries. The alliance partners are working on a couple of deals, Nayar said, without elaborating. Kotak Mahindra Bank’s shares rose 0.33% to close at Rs510.85 on Monday on the Bombay Stock Exchange, while the exchange’s benchmark index, Sensex, lost 0.56%. 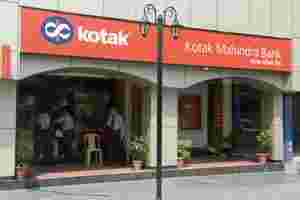 For the second quarter ended 30 September, Kotak Investment Banking booked a loss of Rs4 crore; it had posted a profit of Rs7 crore in the same period last year. Kotak Mahindra Bank made a consolidated net profit of Rs433 crore in the quarter, compared with Rs364 crore in same period last year. The bank had an investment banking joint venture with Goldman Sachs (Mauritius), a subsidiary of Goldman Sachs Group Inc., which was called off in 2006 after a 14-year partnership. “India has emerged to be a key destination for our clients in the US and UK," Philip Kassin, senior managing director, Evercore Partners, said over phone from New York. “These clients are interested in sectors like oil and gas, IT (information technology) and IT-enabled services, pharmaceuticals, healthcare services and industrials." Deepesh Garg, managing director of Mumbai-based investment bank o3 Capital Global Advisory, said that the international deal mandates his firm is working on would not have happened if it was not a part of a global advisory group. For the past one-and-a-half years, o3 has been a part of IMAP Inc., an exclusive global partnership of M&A advisories. Although the upside of such partnerships is yet to be seen, there are no downsides, according to Rohit Berry, partner, M&A, BMR Advisors. “Such alliances tend to remain loose as no capital commitments are involved," Berry said. “Will they work in the long term? It’s too early to say."